Director Peter Uribe, whose background in rock operas includes a six-month tour of the UK working on a Pete Townshend-approved production of The Who’s “Quadrophenia,” said he hopes to infuse Shakespeare OC’s debut musical with this kind of energy. “Penzance” is more of a comic opera that is best known for one specific song (“I am the very model of a modern major-general, / I’ve information vegetable, animal and mineral,” etc. 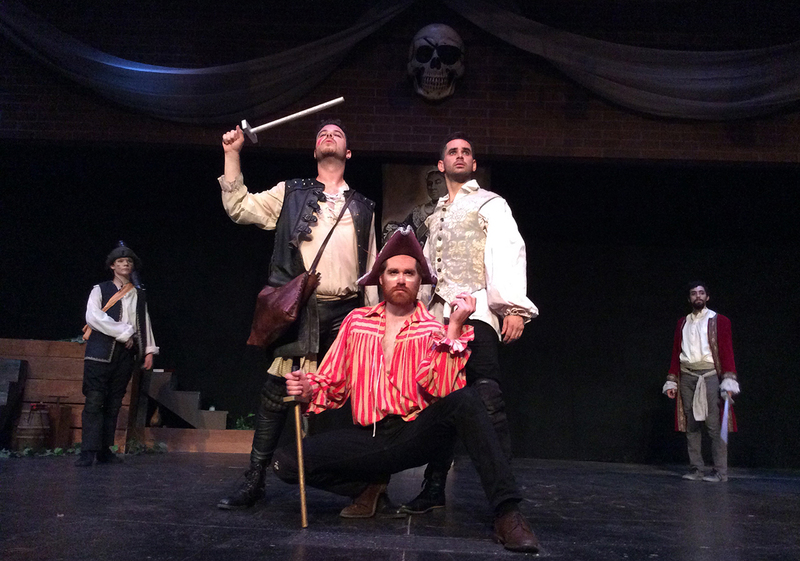 ), but Shakespeare OC hopes to show Southern California theatergoers how entertaining it is in its entirety. Because the 1879 opera is now in the public domain, the cast has had more freedom to reshape the material for today’s audiences. The opera’s storyline follows Frederic, a 21-year-old who has just completed an apprenticeship aboard a pirate ship. However, as Frederic is preparing to be on his way (hopefully alongside the Major-General’s beautiful daughter Mabel), the Pirate King discovers a loophole: because Frederic was born on leap year, he won’t technically turn 21 for many more decades and has to rejoin their crew. For “Penzance,” Shakespeare OC decided to make the most of the expansive Garden Grove stage: instead of utilizing all 500 seats in the amphitheater, they will include audience seating right there in the midst of it. In recent years, Shakespeare OC has been working to make classic theater productions more accessible to the local community. Earlier this season, a production of “Romeo and Juliet” staged its famous ball scene as a traditional Mexican quinceañera, and the Montagues delivered their lines in Korean. Uribe hopes “Penzance” will prove that musical theater also has a place in the OC. 12762 Main St., Garden Grove, Calif.
For more information, visit www.shakespeareoc.org. This entry was posted in live music, Los Angeles, Music, Theater and tagged Alex Bodrero, california, comedy, Garden Grove, Gilbert and Sullivan, live music, los angeles, musical, musical theater, Nikolai Fernandez, opera, orange county, Pete Townshend, Peter Uribe, pirates, Quadrophenia, rock opera, Roger Daltrey, romeo & juliet, shakespeare, Shakespeare OC, Shakespeare Orange County, The Pirates of Penzance, the who, theater, theatre, william shakespeare, Won’t Get Fooled Again on September 17, 2015 by screamfmlondon.